Discussion in 'iPhone and iPad Games' started by TouchArcade Bot, Oct 28, 2015. 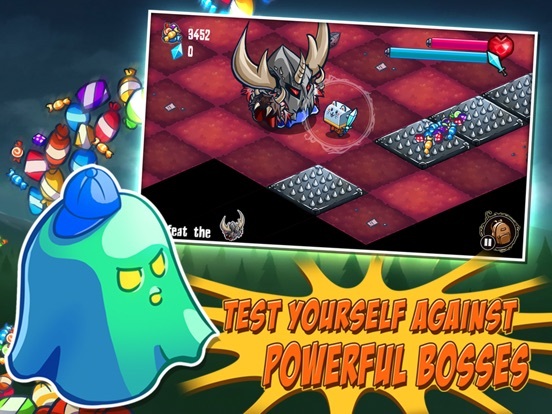 Hack and slash monsters in a spooky mansion! 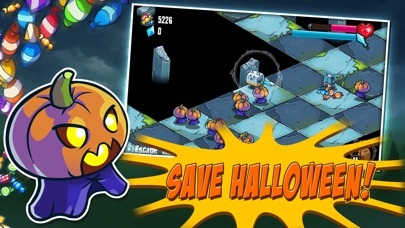 Slashy Hero must save Halloween by defeating spooky ghosts, possessed tombstones, and evil jack o’lanterns. Play through 91 action packed dungeons with unique enemy types and crushing bosses. Dash across the screen with a unique drawing movement mechanic, attacking as you go. Checkpoints every three levels let you save your progress and advance through the mansion. 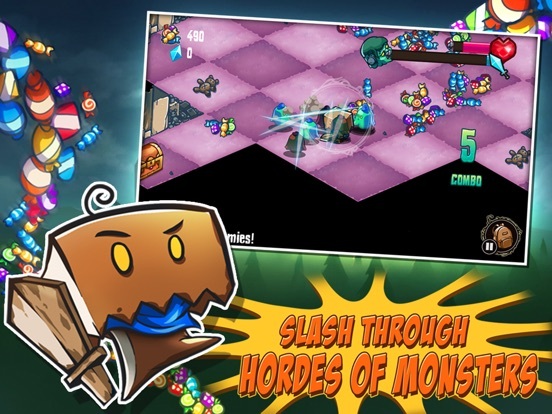 Collect the candy that monsters drop when they die and use it to upgrade your stats. 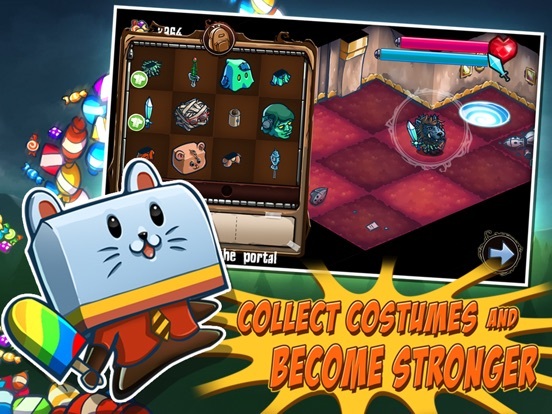 Loot treasure chests throughout the mansion to find costumes that buff your character. Transform into a rainbow cat, alien or cyborg. 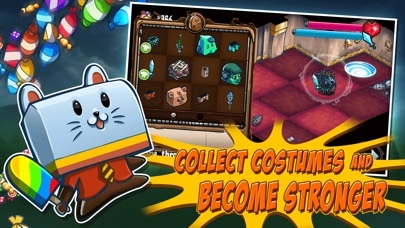 Combine costumes to become the Frankenwolf with a ray gun! Let your imagination run wild! 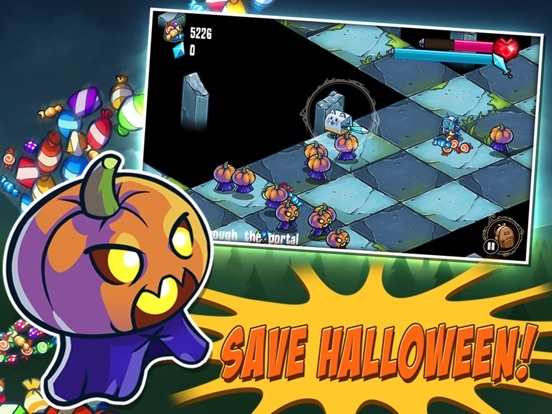 Slashy Hero is the Halloween game of the year! 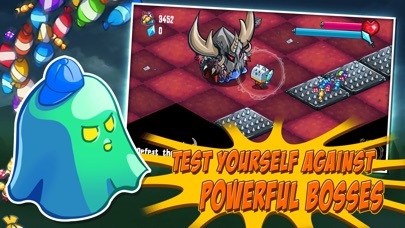 Features include: 91 levels of action-packed mystery 36 awesome costumes 200 time attack levels New Stickers! 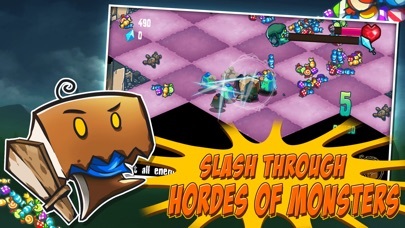 Hack n’ dash movement Secret rooms Infinite mode with leaderboards Slashy Hero is free to download. Some items in the game are available for purchase. Been waiting for this one since spring. This one's pretty interesting. Tap to move or vstick? 2 control options. Tap to move or swipe to move. Haven't put in that much time yet, but been looking forward to this one. Have had no issues so far and seems like will be a fun time waster. Wow... This is actually a pretty neat title. It is very fun indeed. Tons of loot, good controls, but it could be a bit too grindy, which i guess can be expected. Omg I'm so down for this! Looks like a great little hack adventure. Will post feedback when I get out of work! I love the slash mechanic! I could totally seeing this be a big hit! It's a ton of fun. Collecting currency and costumes is great. Also has rpg-light mechanics! Leveling up attack and health. Extremely fun. It appears these levels are hand crafted and not randomly generated? Ok, just downloaded this because I thought the art style looked kind of interesting, but wow, this game is legit. Whoever made this loves video games and enjoys playing them, it doesn't feel like a free to play gouge and the gameplay loop is great. I guess there is no chance of a portrait mode? Ditto to Stelu, I didn't know what I was getting, maybe procedurally generated f2p grind? It is not that, tons of fun, definitely give it a look. It's actually pretty cool and I love the art. That being said, it does get very hard, very fast. I wasn't able to get very far until I ended up stuck grinding the same level over and over. It does help that there's an endless mode but the main issue really is that you don't have much health at all. From the beginning of the game you can only take 3-5 hits before you ultimately die. Upgrading your health does so little each time that you're better off upgrading your attack instead. I thought it's actually pretty challenging, but not overly difficult. While dashing (attacking) you are invulnerable except to traps and environmental hazards. Just make sure you land on a safe spot when attacking and you'd be able to attack safely. I'm just a little bummed that it's free-to-play. I would have ideally loved to have a fully premium version. But mainly now, I wish I could at least buy away the ads. I love this responsive gameplay mechanic, combined with the cute graphics plus some upgrading stuff, which is possible every once in a short while due to its fair income, imho. With a bit more love/time/money this could have grown much bigger...and even better. For what it is, i do ike it. Unfortunately no ads-free support possible nor a doubler available, only consumables and pay to win (?) in surviver mode. I only continued once for one diamond, the next would have been two...and so on 4/8/16? I'll never find out myself. Oh, and make sure to finish a game, because this game won't stay longer in your multitask bar then five minutes. At least that's happening on my 5s, 8.4.1.